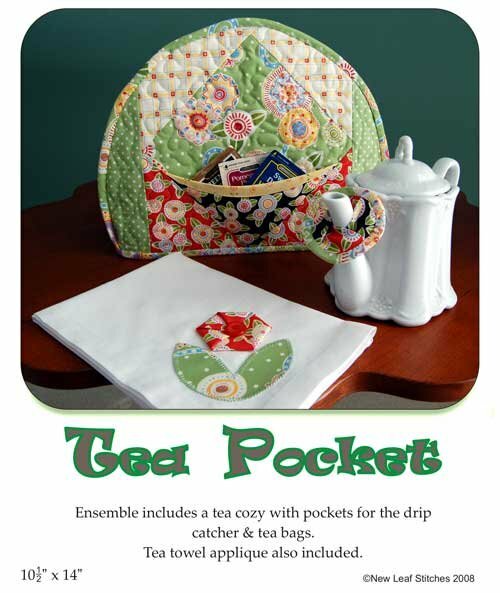 Includes a tea cozy with pockets for the drip catcher and tea bags. Tea towel appliqué also included. Dimensions: 10 .5" x 14"